Welcome to my first coffee post of 2016! What would you like? Some tea (as always there is a huge choice of teas and origins), water, apple juice, milk? 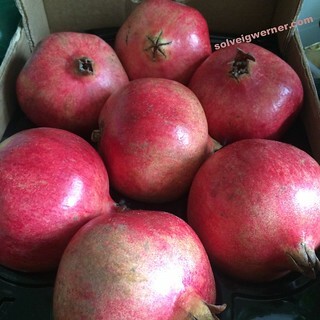 I am sorry my great aunt’s Christmas cookies are so good that they are all gone, but I have great pomegranates from Turkey, they are huge and really really good.